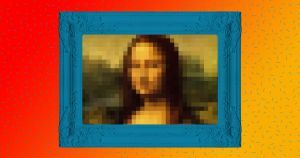 Back in August, we reported that a piece of art generated by an artificial intelligence was scheduled to go on auction at Christie’s, a prominent British auction house. Today the auction went through, and the portrait sold for vastly more than expected. Christie’s anticipated it would fetch between $7,000 and $10,000 — but it instead sold for an impressive $432,000. The piece, “Edmond de Belamy,” is part of a series of works created by a group of three Parisian AI enthusiasts. One of the creators of the piece, Hugo Caselles-Dupré, told Motherboard that he doesn’t foresee algorithms replacing human artists — at least for the time being.